If you have been offered an unfair settlement or had your claim denied by your insurance provider, you may feel helpless to do anything to fight back. A Southeastern Louisiana bad faith insurance lawyer knows how to deal with these situations and can help make sure you are not taken advantage of by your insurance company. There are a variety of ways in which an insurance subscriber can be mistreated by the insurance company with whom they hold a policy. A claim may be wrongfully rejected, the company may make unreasonably slow payment, the investigation may be improper, or the company may make only partial payment. When any of these things occurs, the insurance company has acted in bad faith. This is a nationwide phenomenon and happens to New Orleans, Louisiana insurance subscribers all the time, especially in the aftermath of Hurricanes Katrina and Rita. The bottom line is that insurance companies are in the business of making money. Their goal is to accept premiums while paying out on as few claims as possible. Their marketing is designed to induce consumers to buy insurance by selling the notion that you will be in good hands, will be taken care of by a strong financial company, and will be dealt with fairly in your time of need. Unfortunately, this is not the case most of the time, and families across the Southeastern Louisiana area end up suffering financial hardship as a result. Call a New Orleans bad faith insurance lawyer to help you fight back! If you are a New Orleans area policyholder and your insurance company has acted in bad faith with regard to your policy benefits, please do not hesitate to contact a New Orleans, Louisiana bad faith insurance lawyer or a Southeastern Louisiana bad faith insurance lawyer today to discuss your case. What Protections Does Louisiana Law Provide Against Abuses by Insurance Companies? The Louisiana Revised Statutes require all insurance companies to treat insurance claims from customers in good faith and within time limits. For example, Louisiana law allows insurance companies only 15 days from the date they receive a claim to begin investigating the claim. Usually, insurance companies must make an offer to settle and pay within 30 days. Louisiana law allows for extra damages when the insurance company does not have a good reason to avoid paying but refuses anyway. 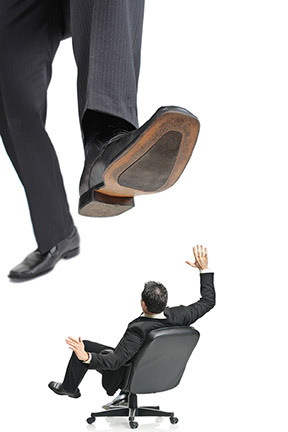 Some of the penalties can be found on our punitive damages statute page. Punitive damages are a legal device designed to help both the public at large and the people injured by an insurance company's bad faith actions. Punitive damages are extra money paid by the insurer to the injured person. They are not intended to pay the injured person back for any loss they have incurred and are different from pain and suffering damages. The purpose of these damages is to prevent others from doing the same bad things that the defendant did. In the same way jail is designed to act as a deterrent to keep people from committing crimes, punitive damages are designed to keep companies and corporations from treating people poorly. Louisiana only allows punitive damages in a few rare cases, however, bad faith on the part of insurance companies is one of the times punitive damages are allowed. Insurance companies may be forced to pay punitive damages for their bad faith conduct when they fail to adjust claims fairly and promptly or to make a reasonable effort to settle claims. Specifically, punitive damages are available in the following situations (taken from Louisiana RS 22:1973). Misrepresenting pertinent facts or insurance policy provisions relating to any coverages at issue. 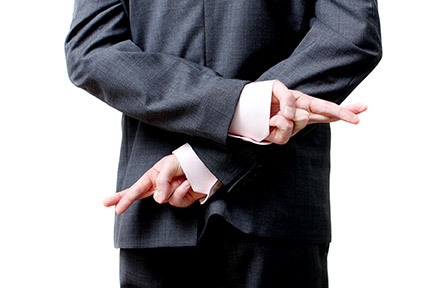 Failing to pay a settlement within thirty days after an agreement is reduced to writing. Denying coverage or attempting to settle a claim on the basis of an application which the insurer knows was altered without notice to, or knowledge or consent of, the insured. Misleading a claimant as to the applicable prescriptive period. Failing to pay the amount of any claim due any person insured by the contract within sixty days after receipt of satisfactory proof of loss from the claimant when such failure is arbitrary, capricious, or without probable cause. Failing to pay claims pursuant to R.S. 22:1893 when such failure is arbitrary, capricious, or without probable cause. Situations involving health or accident insurance policies are not included. Failure to begin the loss adjustment process within 14 days in non-catastrophic cases. Other, less common situations have their own penalties and can be found on our punitive damages statute page. Consult a New Orleans Bad Faith Insurance Attorney for a consultation on how these laws apply to your claim. The damages available in any one of the above situations include the actual damages that the behavior of the insurance company has caused you, and assuming they committed the act knowingly, punitive damages. In Louisiana, the punitive damages available against an insurer may include an amount not to exceed two times the damages sustained or five thousand dollars, whichever is greater. This means that even if a court finds that the insurance company only caused you $1 worth of damage, they could still award up to $5,000 in punitive damages. If a court finds that the insurer caused you $250,000 in damages, it could award up to an additional $500,000 in punitive damages. Only a licensed New Orleans Bad Faith Insurance Attorney can advise you of which damages will be available in your case. What Can a New Orleans, LA Bad Faith Insurance Lawyer Do For You? 3. Punitive damages are available in some insurance bad faith claims. Over the past few years, insurance companies have become bigger, wealthier and more powerful than ever. They dominate our healthcare system and, in some cases, even impact where we choose to live. One insurance company advertises that it has over $700 billion in assets. Insurance companies obtain this extraordinary wealth by selling policies and collecting premiums, while minimizing payment of claims. This frequently results in the wrongful denial of claims and bad faith dealing with policyholders, including practices such as failing to respond to claims, searching for technicalities in the policy that give the insurance company a loophole through which they may avoid making payment. Sometimes insurance companies even affirmatively breach contracts or intentionally abuse their power by bullying policyholders into taking what the insurance company is willing to pay as opposed to the value of a fair settlement. This is something that Gulf Coast insurance lawyers are all too familiar with after the Storm, and they can advocate on your behalf if you find yourself in a legal battle with your insurance company. New Orleans and Southeastern Louisiana injury victims may find themselves facing off with their insurance companies when they are rightfully entitled to the benefits they pay for under their policy, and New Orleans bad faith insurance attorneys are available to help in these situations. Unum Provident, for example, is notorious for failing to pay claims or raising you one silly little "point" to stall paying you your disability money when you need it the most. There are certain notice requirements that must be met and there are many medical conditions that are built into the contracts that exclude some coverage. New Orleans insurance claims attorneys know the technical terms of those complicated insurance contracts, and therefore have the tools to challenge an insurance company's denial of a claim. This can optimize a policyholder's chances of recovering money. If you have questions about your disability policy, contact one of the Louisiana disability insurance attorneys listed above today. (c) "Whole Life" policies that have cash value, which are called "whole life policies." 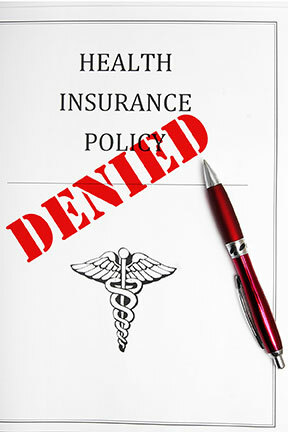 Like other insurance benefits, life insurance benefits can be wrongfully denied. First, there can be issues as to whether adequate notice was given to the life insurance company. Second, suicide may be excluded, and there are some forms of employment and recreation that may not be covered. Insurance companies, without any reasonable basis, might simply cancel a policy when a policyholder is diagnosed with an extreme illness or terminal disease. This happens even after the insured has faithfully paid their premiums to the company. Often, the insurance company will chock this up to a "clerical error," as justification for canceling the policy. In truth, such practices are unconscionable and immoral bad faith behavior on the part of the insurance companies and if you have been treated in this manner, you deserve compensation and stand to benefit by contacting a New Orleans insurance attorney. Similarly, when an elderly person loses their life insurance coverage, they often cannot replace it in an affordable way. Insurance agents may sign a policy cancellation either directly or indirectly through another party and allow the policy equity to be sent to someone else. If the insurance policyholder has not been receiving yearly statements from the insurance company, he or she may not even know that there is cash value in the policy and may not even know the policy has been canceled until it is too late. If your life insurance policy has been wrongfully canceled or if you are having difficulty collecting payment on a life insurance claim, please contact a Louisiana Life Insurance Policy Lawyer today. Prior to the adoption of the Obama Health Care Package, denial of health insurance benefits was commonplace in the industry. The insurer simply denied the claim, stating that it was "unreasonable." They even employed "throw down" doctors to support their opinion that the procedure or treatment was unreasonable. The Obama Health Care Plan strengthened and expanded your legal rights; however, you still need a qualified Southeastern Louisiana insurance attorney to advise you of those rights and argue on your behalf against the powerful insurance companies. If you have an underinsured or uninsured clause in your auto insurance policy, the insurance company has a duty to compensate you for any loss you have suffered, which is not covered by the insurance policy of the person or entity causing your injury or damage. Insurance companies tend to fight these underinsured/uninsured claims aggressively. In settling the underlying case, it is critical that you understand the implications and consequences of how the settlement may affect the underinsured or uninsured claim against your insurance company. Louisiana generally requires all drivers to carry Uninsured Motorist (UM) insurance. In fact, if you purchased auto insurance in Louisiana, you should have this coverage unless you have opted out and signed a very specific form acknowledging that you are not covered by UM insurance. If you are injured in a car accident and the other person does not have insurance or does not have enough to cover the cost of your injuries, Uninsured Motorist insurance should pay for your damages. It is important that you contact a New Orleans Bad Faith Insurance Lawyer as soon as possible to preserve your rights. Imagine if you saved 10% on every purchase you made. That could add up really quickly. That is what insurers are doing when making extremely low offers to their insured to settle their property damage claims. They make low offers to save a little bit on every claim. Because there are so many claims, they make millions of dollars each year. This is the type of behavior one can expect from an insurance company. The company is not looking out for your best interest, as required by the company's fiduciary duty to policyholders under Louisiana law. Rather, they are purely focused on how much money they can make and they do this by fighting you tooth and nail for every cent you are entitled to under your policy. Fight the insurance companies back by hiring an experienced New Orleans insurance attorney to represent you in your property damage claim. Contact one of the qualified New Orleans insurance attorneys listed on this page today for an initial free consultation.